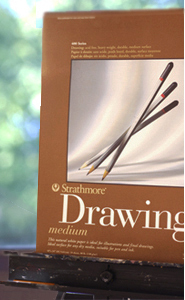 Don't miss any new online drawing tutorials, exercises and lectures on this drawing website! This page informs you whenever new pages are published on The Drawing Source. Would you like to receive updates about new pages? drawings and prints of Käthe Kollwitz! from artists of the past and present! 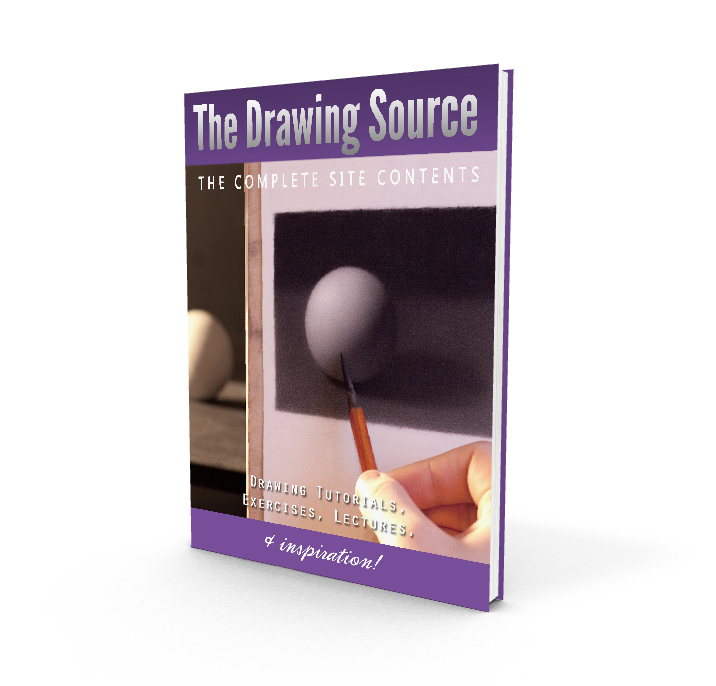 Due to popular demand, the complete site contents of The Drawing Source is now available in e-book format! Conveniently organized into chapters by topic, this 183-page e-book includes all the juicy drawing articles on this website. This page discusses the importance of studying figure drawing proportions, suggests 7 proportions that are particularly useful to memorize, and how to use them effectively. If you have ever been stuck wondering how to begin a figure drawing, then this page is for you. Learn five different strategies to use to begin your next figure drawing, and when to use them! New Page! 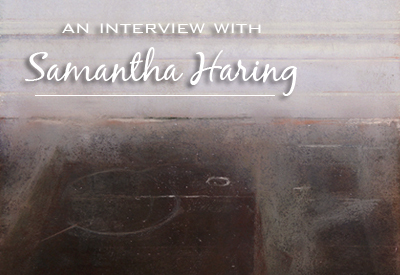 "Get Your Drawings Published in These 5 Magazines and Books on Drawing". 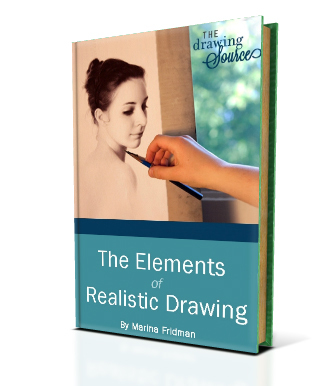 Download the Free "Elements of Realistic Drawing" E-Book! 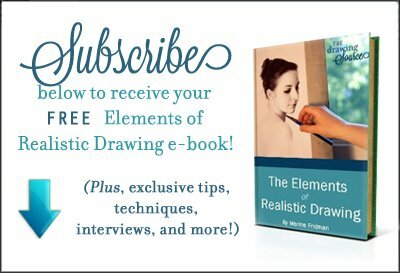 Get your free copy of The Elements of Realistic Drawing E-Book here! Learn the five elements crucial to the realism of your drawing, how to achieve a likeness of whatever you are drawing, and much more. A few weeks ago a TDS reader asked me to clarify what makes a drawing look realistic or believable. This was such a great question, and one that I couldn't answer in just a page or two. My reply turned into an E-Book that I am excited to be finishing! At the end of the book you will also find a list of common mistakes that detract from the realism of a drawing, and questions to ask yourself when your picture is not looking quite as convincing as you would like. It should help identify which of the elements essential to "realism" you are missing, and how to draw them! The book will be available by the end of the month. Subscribe in the right column to receive a free copy directly in your e-mail inbox as soon as it is published! The newest step by step tutorial on this drawing website tackles the challenging topic of how to draw hair. Learn how to simplify this complicated subject and draw realistic, dimensional locks with this step by step hair drawing tutorial. 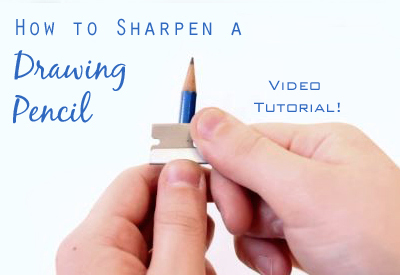 The newest member in our family of online drawing tutorials is finally here! This first page of the figure drawing tutorial focuses on creating a blueprint, or block-in, for our figure drawing. 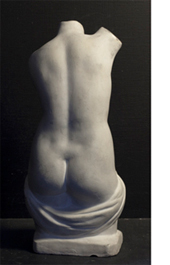 Achieving a likeness largely relies on capturing the correct proportions of the model. Here are five proportions to keep in mind to make the portrait drawing process a little bit easier, and result in a better likeness of your sitter. While it is said that everything we draw or paint is a self-portrait, it can be particularly fascinating to view how artists depict themselves in their artwork, and how self-portraiture has changed over time. From 1484 to the present day, here are 100 self portraits drawn by various artists, Old Masters to contemporary. One of the most remarkable minds of the Renaissance, Leonardo da Vinci was an inventor, architect, anatomist, engineer, and, of course, an artist. On this page we will look at five characteristics that make da Vinci's drawings uniquely his, and what we can learn from them to benefit our own drawings. I hope that here you will experience that exhilarating rush that occurs when you find artists and artwork that resonates with you. This directory can also be used to learn from the different ways that various artists have solved drawing problems, and to visually brainstorm new ideas for your own drawings. Besides drawing tutorials, I have also started creating a directory of inspiring drawings on this drawing website. 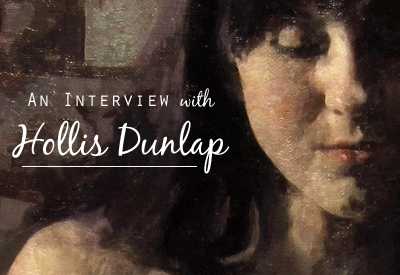 The first of these pages presents the drawings of Alphonse Mucha. They are, strangely, some of his least known works of art. From his intricate, decorative object drawings to the dramatic, surreal Le Pater series, these drawings are bound to make an impression on you. Yahoo, a new online drawing tutorial! Cast drawing wonderfully bridges still life and figure drawing. It allows you to experience the figure drawing process without facing all the challenges of working from a live model. In this first part, I take you through the process of blocking in the cast, step-by-step. The last thing we want when drawing the figure is to realize that we made a mistake early on that we cannot fix! We can avoid this and have a smoother, more enjoyable time drawing if we prepare with drawing studies. Here are some of the studies I like to draw, including compositional thumbnails and analytical figure drawings, before beginning a long-pose drawing. 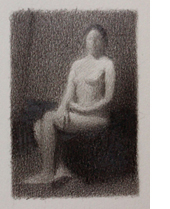 This is the beginning of the figure drawing section of this drawing website! This first page introduces three ways to approach the multi-faceted study of figure drawing: from knowledge, observation and interpretation. 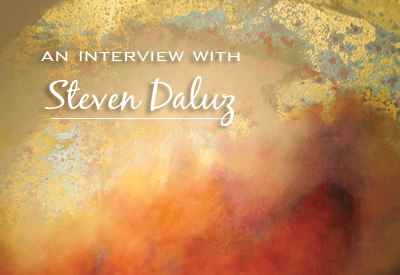 When drawing from life, observation is the visual artist's source of inspiration. The more sensitively you learn to observe, the more inspired and full of life your drawings will be. This page discusses the importance of observation in life drawing, as well as the difference between "looking" and "seeing". Drawing paper is a topic that strangely isn't addressed very often. Even after studying at a few art schools, I didn't feel that I had an in-depth knowledge of this important aspect of drawing. So I went on a bit of a mission (which included a few phone calls to my favorite paper manufacturers!) to find out everything I wanted to know and report back on this drawing website. On this page, I cover the three of the most important things to consider when selecting drawing paper. 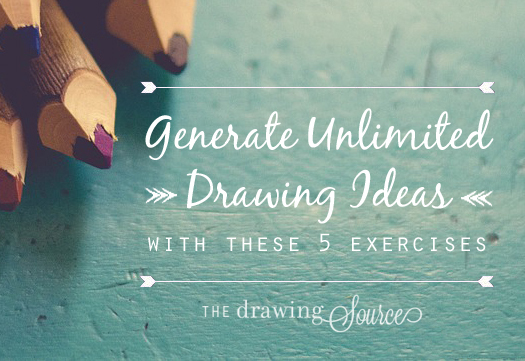 You'll also learn how to choose the paper best suited to your drawing, and much more! 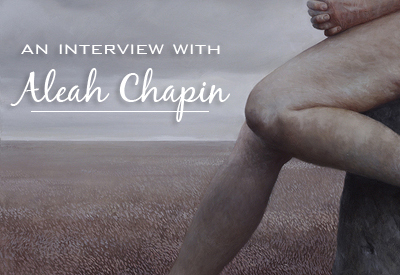 I'm feverishly working on the figure drawing section of this drawing website! It is taking longer than expected because it is such a vast topic that the pages I'm working on keep multiplying, splitting into separate topics, and taking on lives of their own. To everyone awaiting further online drawing tutorials: thank you so much for your patience, and even more for your encouraging messages! I so, so appreciate them, and look forward to sharing new pages with you soon.